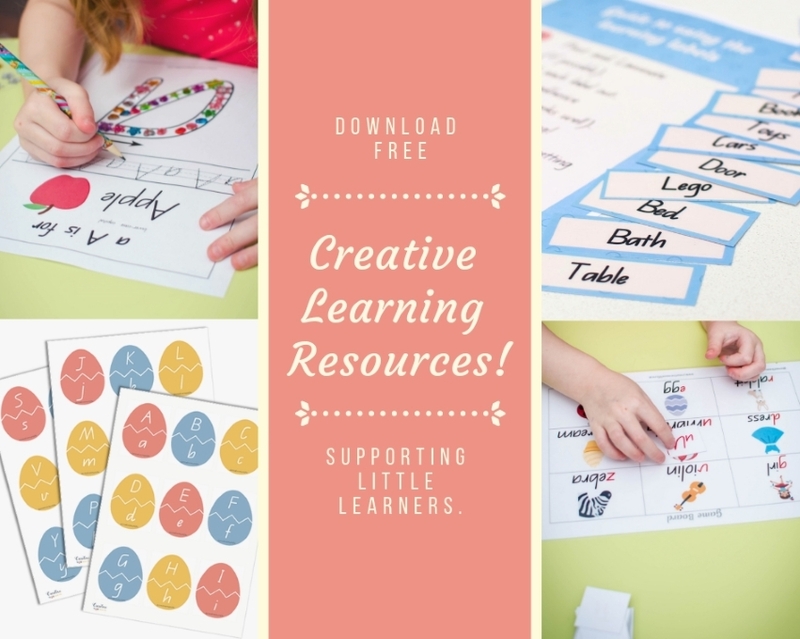 Get access to our FREE Creative Learning Resource Library! Print Awareness Labels - Label your home, together with your child to build print awareness! Alphabet Learning Workbook - Provide plenty of practice at home, to give them a great start with writing and letter recognition. Alphabet Bingo - A fun, engaging hands-on literacy game, to help them learn and recognise letters. Easter Egg Alphabet Matching (hey, I'm NEW) - A fun matching game to help them develop letter recognition this Easter. PLUS additional resources to be added soon!